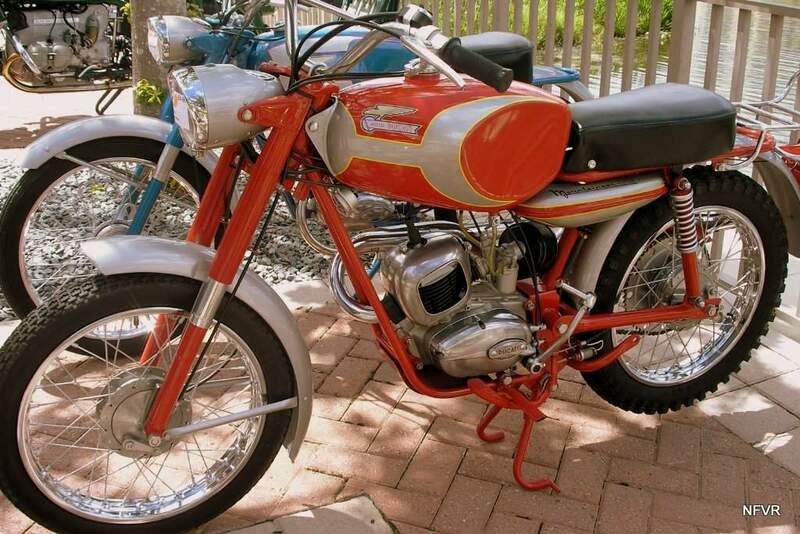 In the mid 60s, Ducati offered a pair of singles called the Cadet and the Mountaineer that were both powered by a 97.6cc engine. 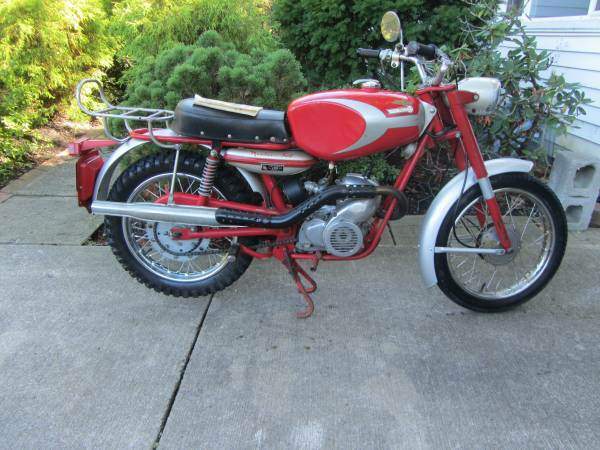 The Cadet was a road bike and the Mountaineer (as you can guess from the name) was more of a dual-sport before the term existed. 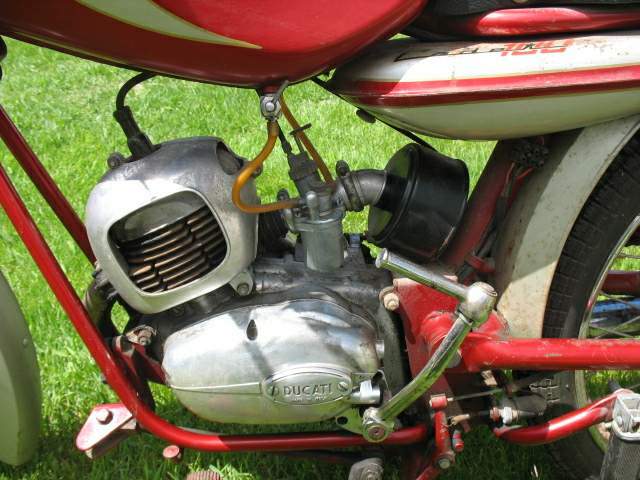 The engine was good for 7.2 horsepower, and as this example is an early model the engine is paired to a twist grip handlebar shift (which would be replaced with a foot selector in 1967). For more off-road suitability, the Mountaineer was given a luggage rack, scrambler exhaust, and a larger rear sprocket than the Cadet.